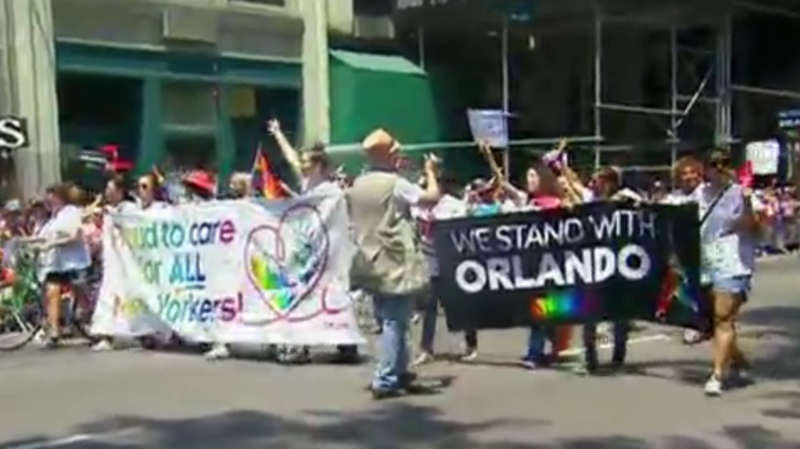 NEW YORK - More than 30,000 marchers are on the streets of Fifth Avenue today as New York celebrates Gay Pride Day. An estimated two million spectators viewed the 46th annual parade. There was a moment of silence before the parade started to honor the 49 people killed in the mass shooting at the Pulse nightclub in Orlando.